We invite you to come out to the farm on harvest day to pick up your birds fresh from chilling. This allows you the most connection with your farmer and your food. We can’t wait to meet you! Farm fresh pick up is also the most economical option. Both the cornish and the slow red broilers will be available on farm. 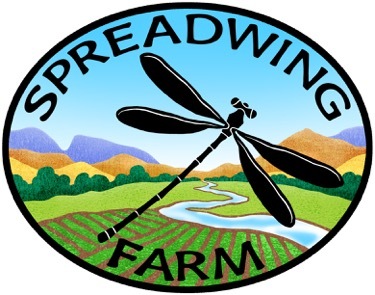 For those of you who cannot make it out – we will bag and freeze your birds and deliver them to the Sunday Sacramento Farmers Market in April (cornish) and May (red’s). While brooders are an essential part of growing out day old chicks, it is essential to get those birds out as early as possible to produce nutrient dense birds with the nutrition from the grass. We include chopped grass in the chick feeders when they are in the brooder so that they recognize the taste and nutrition of grass when they get out. Once they are out on grass we move the birds daily to keep a fresh salad bar in front of them at all times. We slaughter on site for low stress and a more humane slaughter. 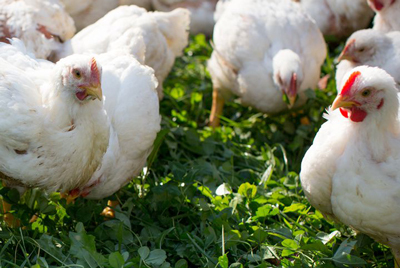 $15 per bird by April 15 for the slow red broilers. For more information or to pre-order chickens please contact us.